This was my view down the startline from the Starboard end, unfortunately due to mechanical issues the boat is out of action and I’m off the water. This was some of the action at the bottom gate, it was pretty vocal. I started the weekend off helping the Tranfusion team practice their starts before heading to the USA to defend their Farr40 World Title. 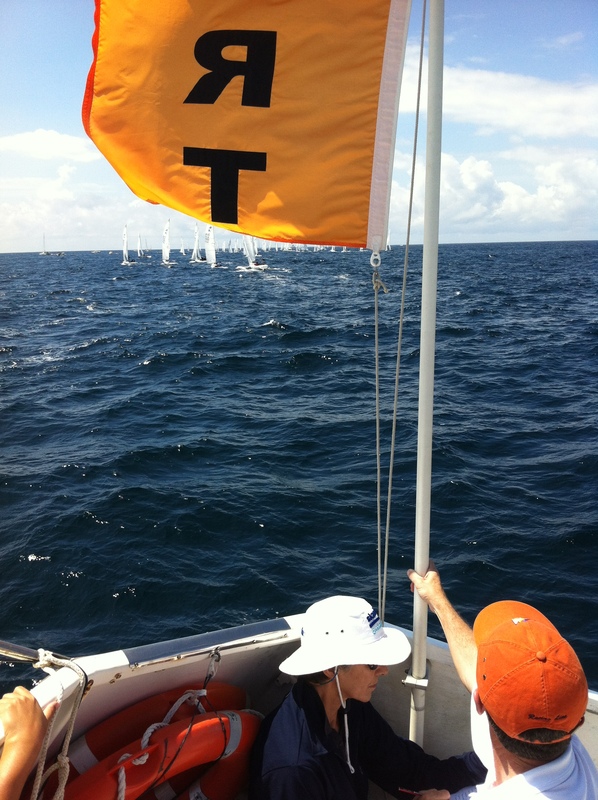 Then as one of the MHYC volunteer start team, running the club Saturday pointscore race. The breeze on Saturday was a pleasant South Easter and it was good to have a race around the harbour after many weeks of windward return style races. On Sunday I was one of many volunteers out helping run the 2012 Etchell World titles. As a National Race Official it was great to work alongside many other NROs and International officials. Sunday was the practice day, so we had a couple of practice starts before finally getting the fleet away under a Black Flag [if you are over the line in the minute prior to the start you are disqualified]. 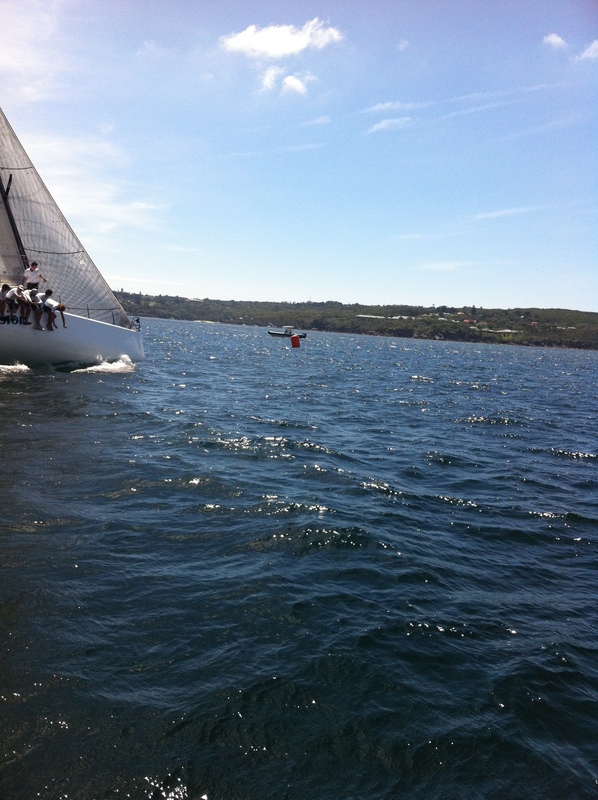 With the line split in two we control the starboard half, in this case it was all clear. I’m about to head out now for the first two heats, hopefully the weather plays nice after last nights Sydney storms. Ben Nossiter skippering Sirius shook off the Hoodoo of recent times and claimed his second title in over 20 years of sailing Adams 10s. For as long as some can remember Ben has been the top boat in the Middle Harbour Yacht Club fleet, however each time the championship came around success eluded him. This year however, with 4 wins and a second in 7 races, Ben showed the fleet his transom. With close racing at the front end the minor placings were fought to the end with Dr Paul Saunders’ Let Loose helmed on this occasion by Chris Mathews coming out ahead of former multiple winner Another Dilemma. Each year Tim Gallego makes the round trip from his new home in England to steer Jim Curtis’ Another Dilemma on this occasion duelling with Let Loose for the minor placings. Winner of the last three championships, Eat My Shorts [Peter Johnson] was relegated to fifth behind Mitch Miller on Rock Solid. Winner of the Pat Carroll Memorial trophy for the older timber seated boats was Coconut Telegraph helmed on this occasion by Adam Rowlinson. Middle Harbour Yacht Club principal race officer Phil Yeomans was given a hard task setting courses on Friday and Saturday due to the large run out tide against the prevailing Easterly winds. 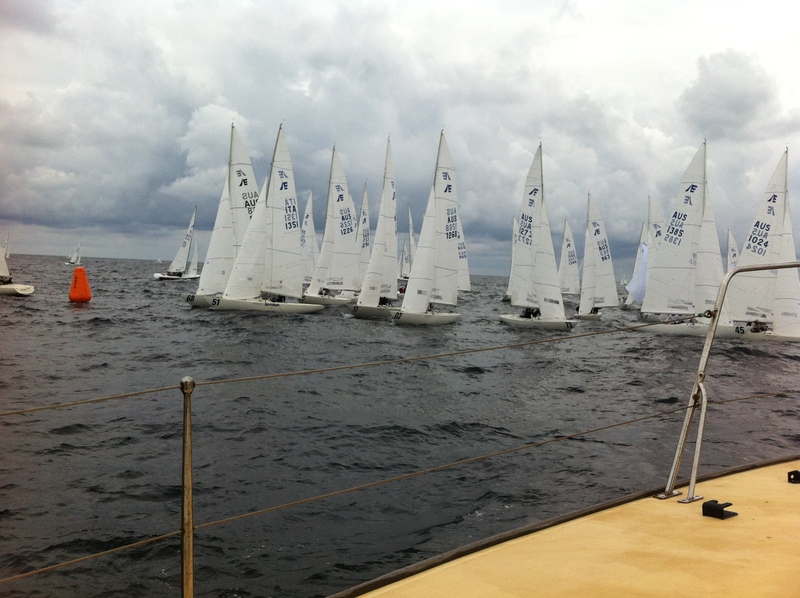 The second race start of Saturday was delayed several times in an effort to give the competitors a fair start. The conditions were testing on Friday with several crew members falling off boats in the choppy conditions. On Sunday they were liking the typical Summer Northeaster that Sydney Harbour offers with the race officials setting a course out of the tide. The racing on Friday was marred by the sinking of Brian Lees’ Contentious in a start line incident with Let Loose. Brian was able to sail the stricken yacht around to the sandy bottom inside Grotto Point, where all the crew were taken off by the Middle Harbour tenders. Contentious was recovered the following day with many of the crews watching on as they finished racing, Brian watching the recovery from a surf ski safely from a distance. 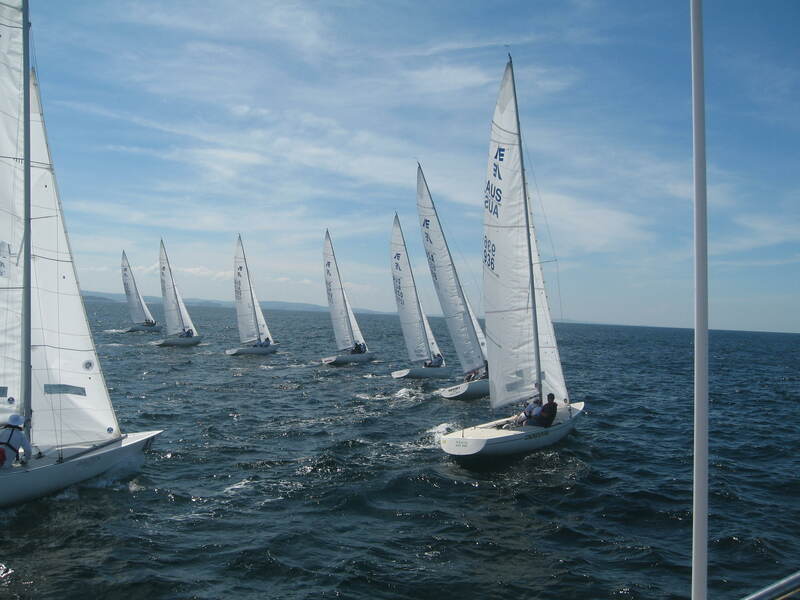 With entries from Middle Harbour, Gosford, Lake Macquarie and Victoria, the Adams 10s continue to show good fleet racing. The 2013 Adams 10 Championship venue is yet to be finalised.